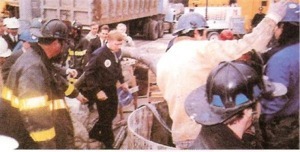 On April 13, 1992, the City of Chicago experienced "the Great Chicago Flood" when an old piling breached a service tunnel running under the Chicago River, causing extensive and severe flooding in Chicago's downtown Loop area. It is estimated that more than 200 million gallons of water flooded basements and underground facilities throughout the Loop. 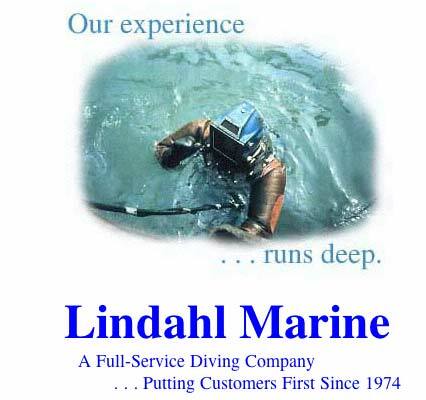 Lindahl Marine was called to assess the damage to the service tunnel. Lindahl's divers first inspected the area and then cleaned out debris which had been thrown into the river in attempts to plug the hole. Once the extent of the damage had been determined, and safety measures had been met, Lindahl proceeded to place bulkheads and pour concrete in three different locations, which effectively sealed the tunnel. Divers and other Lindahl team members worked around the clock for 14 days, as Lindahl played an integral role in effectively solving the city's flooding crisis. The City of Chicago awarded The Chicago Hero Award to Lindahl for its assistance. "The Chicago Flood job was one for the history books. We demonstrated - before the entire world - what the word, "partnership," really means. All of us at Kenny appreciate Lindahl's spirit of pulling together to get the job done - fast and efficiently, and most importantly, safely." 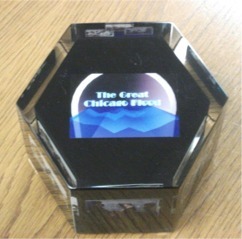 "...The Chicago freight tunnel crisis brought a number of agencies and companies together to solve a public problem. Harza Engineering Company had the opportunity to work with most of the contributing agencies and recognizes Lindahl Marine and its staff, in particular, for its role in the resolution of that crisis."